We dont really know how you feel about your shoe game,but it is serious business for some people. 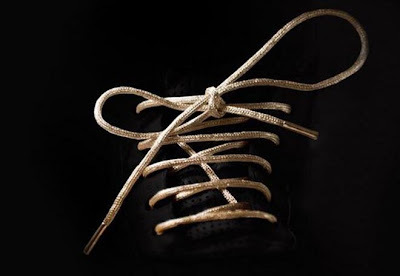 Mr. Kennedy has made us some uber crazy laces to step any shoe game all the way up! These GOLD LACES have made their way on to the Today show via their style editor Bobbie Thomas. I thought them mad cool, but ridiculously priced at 19000!!! Crazy to think that someone would actually buy these.. not hating though, they are hot.